A hand-sewn moccasin, with brass D-ring trim. Crafted on a classic 68 last. 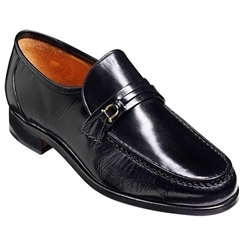 This shoe is a long-established feature in the Barker catalogue of high-quality shoes - is style makes it perfect for wearing with formal or casual attire. A quality product with a timeless style.